A crestfallen Lil Uzi Vert has reached the end of the road. It's an age-old narrative, and one that often reaches a sad conclusion. An artist signs to a record label and soon realizes that not everything is smooth sailing. In fact, the music that got them there in the first place often takes a backseat to extraneous factors. Eventually, projects get shelved, feelings get hurt, and the powers that be get richer. A cautionary tale perhaps, but it doesn't feel like many artists are paying attention to the "Cautionary" part. 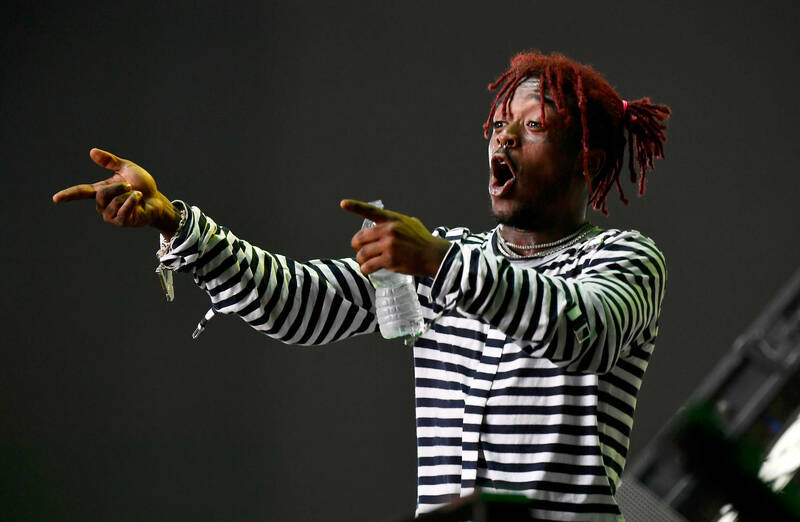 Lil Uzi Vert is but one example of those feeling the Major Label Blues, as evidenced by a recent livestream. Looking genuinely downtrodden, Uzi addresses his fans with but one simple wish: to leak Eternal Atake on SoundCloud. "I don't care about no money," he says. "I wish I could just give it to ya'll for free on SoundCloud. I got all the songs. I could just drop everything on SoundCloud, huh?" The sad thing is, Uzi would likely find himself facing the legal eagles, should he opt for such a course of action. For his music, at that. Perhaps it's time to look to the wisdom of Russ, who has become somewhat of a face for musical independence. "First platinum plaque on my Tunecore," writes Russ. "There’s still money in selling music. You just have to own it." Is it too late for Uzi to find salvation, or is he doomed to a fate of label purgatory for the remainder of his prime?